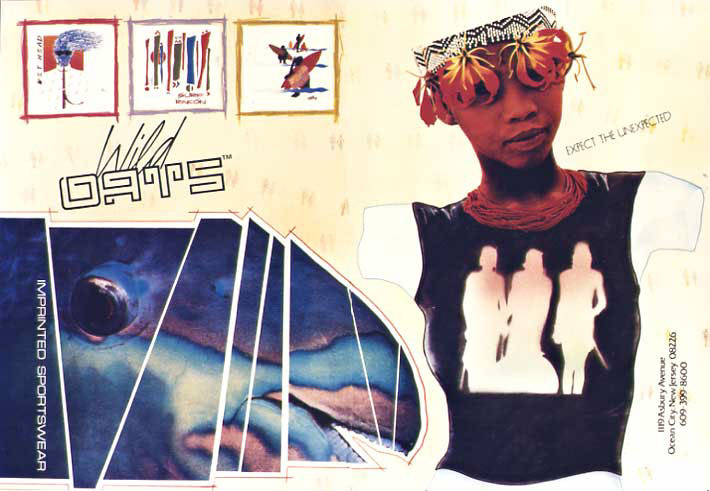 These ads for "Wild OATS" appeared in surfing, skateboarding and action sportswear trade magazines. They not only created a sensation in those magazines, but catapulted OATS into a national market. We had been struggling with our sales force to get national retailers, to no avail. With these ads, the retailers called us. And, the first ad won an Art Direction magazine international "Creativity" award. At the award exhibition, it hung next to Talking Heads' "Stop Making Sense" album cover. That was cool. 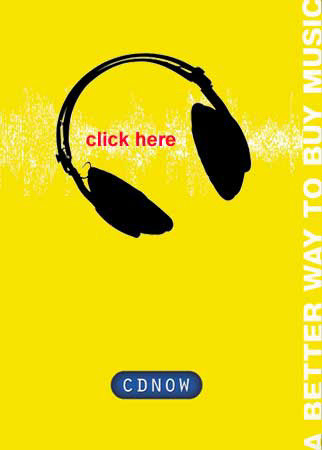 The CDnow ads also gained market notice, and "click here" won HOW Magazine's International Annual of Design Merit Award/Advertising. 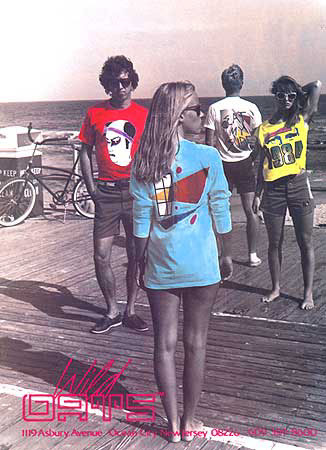 These ads for "Wild OATS" appeared in surfing, skateboarding and action sportswear trade magazines. They not only created a sensation in those magazines, but catapulted OATS into a national market. We had been struggling with our sales force to get national retailers, to no avail. With these ads, the retailers called us. And, the first ad won an Art Direction magazine international "Creativity" award. At the award exhibition, it hung next to Talking Heads' "Stop Making Sense" album cover. That was cool. 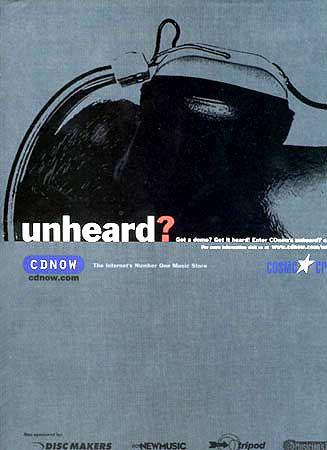 These ads appeared in music consumer and trade magazines. We got a lot of buzz and won awards for these.